Timesheets need to be approved by both you and supervisor. 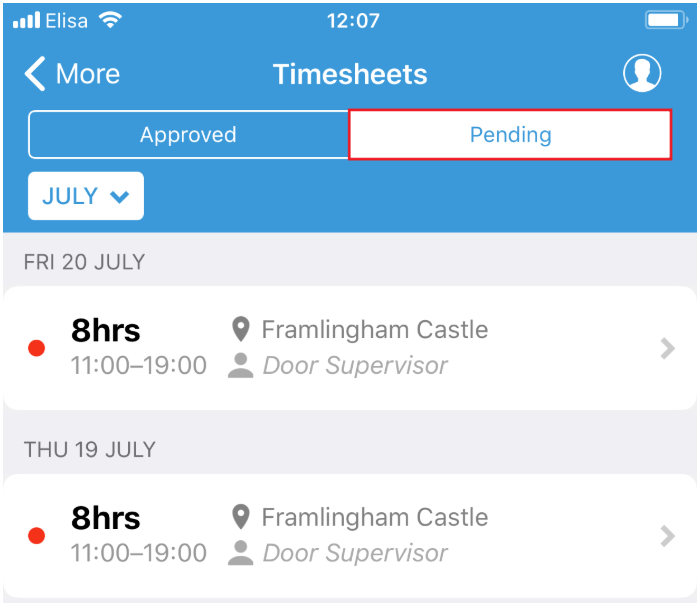 You can confirm your timesheets either on your Parim mobile app or by logging into your account on the desktop. 1. Tap on the More tab at the bottom of the app and choose 'Timesheets'. 2. On Timesheets page go to the Pending timesheets by tapping on 'Pending'. There you will see all the timesheets that are waiting for confirmation either from you or the supervisor - the red ones are waiting for your confirmation and the yellow ones are waiting for the supervisor's confirmation. 3. To edit and confirm a timesheet tap on the timesheet to open it. It will show the shift's details along with the hours worked. 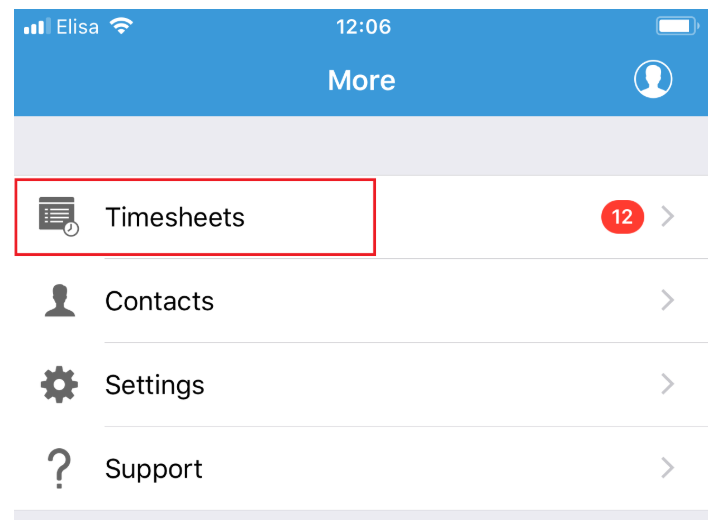 If you need to amend the times simply tap on the blue 'Worked hours' or 'Break' and it will give you the option to change the times. 4. Once you have amended the times tap on the green 'Confirm' button to confirm the hours. Your timesheet is now confirmed! It will show as a yellow colour now until the supervisor has confirmed the hours as well after which the timesheet will move to the 'Approved' timesheets tab. To approve your worksheets, click on 'Timesheet' tab in your left side toolbar. By default the last week will be displayed to you, if you want to view other week's or month's worksheet you can view it by using filters on the upper part of the page. 1. If you agree with all hours displayed, click on the 'Confirm all' at the bottom of the worksheet. 2. If you wish to make some changes to the shift hours, locate the blue star '*' icon within worked hours box you wish to change and the system will pop up a new window where you can modify the hours. Please note that a comment (an explanation) is required for this action to be completed. Click 'Confirm'. You can also confirm all your hours on the 'Schedule' page. When you see a green shift with the 'Confirm' at the top corner of the shift it indicates that the hours need to be confirmed. Click on that shift and follow instructions within the pop up table to confirm the shift hours.